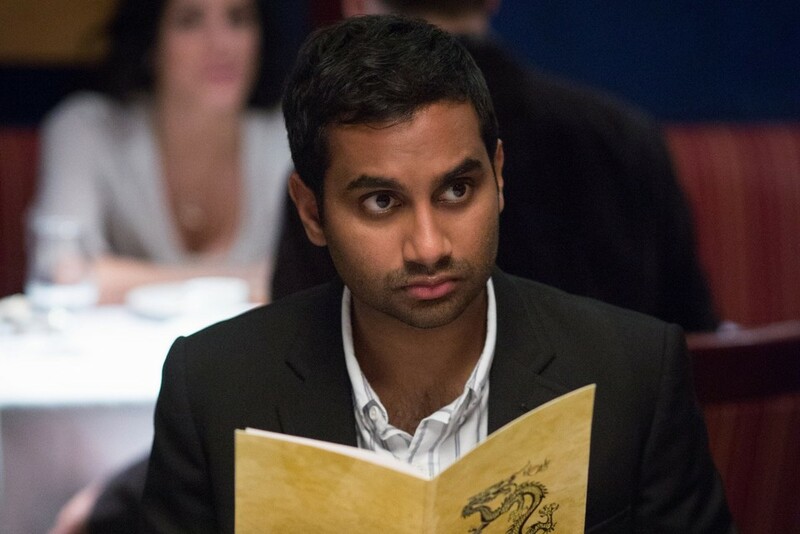 Can I just tell you how happy I am that we are all now talking about Aziz Ansari? I feel like I was out here on my own for the last few years, even have been telling folks to read his hilariously important book, Modern Romance--whose romantic observations are incorporated in the comedian's breakthrough Netflix original series, MASTER OF NONE. With this new series, is it safe to say that Ansari has now arrived? I hope so. MASTER OF NONE is the type of series I have been waiting to happen, an observational comedy told from the perspective of an Indian American that doesn't go out of its way to have a politically correct agenda, but doesn't ignore the fact that it has the responsibility to tell an honest story. The series, inspired by Ansari's own experiences as an Indian American actor in New York City, follows his onscreen persona, Dev, as he navigates romance, Hollywood, and being a first generation American. Through his daily conversations and encounters with supportive friends, seemingly "perfect for him" white girlfriend Rachel (Noël Wells), traditional parents, and prejudiced casting agents, we get to see a particular point of view that is missing from the small screen. Actually, this type of character exists on neither the small or big screens. It took a non-traditional medium (in this case, an online streaming service) to give us one of the most progressive stories onscreen (surprise, surprise). 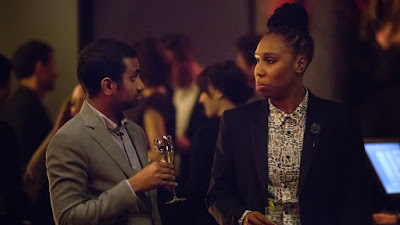 Not only does MASTER OF NONE score big in the diversity department with an Indian American lead, supported by a black lesbian friend (Lena Waithe), a white male buddy (Eric Wareheim), and several other similarly diverse talent (including Condola Rashad, Danielle Brooks and Claire Danes), Ansari (who serves as the co-creator, writer and director of a few episodes) manages to include commentary on sexism, Hollywood stereotypes, and dating in the digital age. In other words, it is the show you never knew you always wanted. And it doesn't just talk about something like sexism from a female character's point of view. In fact, it is Rachel who points out to Dev an instance of sexism in one of the episodes, which he initially disputes than realizes the error of his thinking. This type of self-awareness is something that is too often missing in other episodic television. Ansari, like the many self-deprecating comediennes today, is more than willing to demonstrating the flaws in his own alter ego, just as much as he is open to identifying the flaws in a system as discriminatory as Hollywood. He even goes as far as to project something that is a less talked about factor: the lack of an advocate in the Indian American community. While MASTER OF NONE explores political commentary, it is a true New York City sitcom that fully embraces the neuroses of dating in a big city, during an age in which traditional communication (and sometimes any communication) is considered old school, as well as the social faux pas to which any 20- or 30-something can easily relate. Hilarious, smart and amazingly binge-worthy, MASTER OF NONE needs to be added to your Netflix streaming queue immediately, if not sooner. P.S. Listen to more chatter about MASTER OF NONE on Sunday's episode of our podcast, "Cinema in Noir."